The HyVIZ Bridle Set fits neatly on the bridle.Fluorescent with bright silver retro-reflective tape for style and safety. Easy to wash or wipe clean. All year round visibility. 3 pieces per pack. One size fits all. 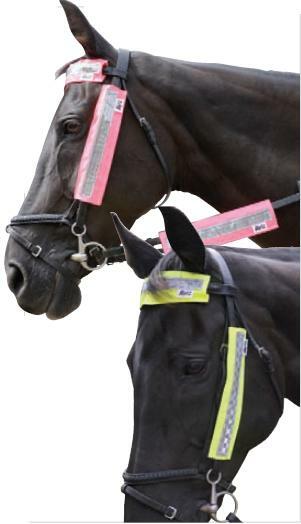 There are currently no questions for HyVIZ Reflective Bridle Set - be the first to ask one!